Those of us trying to maintain our life raft of sanity in an ocean of stupidity have probably developed a sense of being "comfortably numb," as Pink Floyd once said. If rationality is represented by low-lying land mass, and woo-woo is represented by the ocean, then the more I look around, the more I'm convinced that we're suffering Intellectual Global Warming. 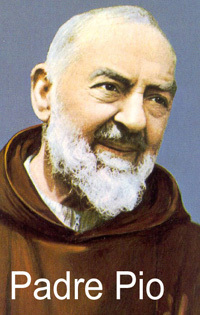 The corpse of Padre Pio, the Italian monk from the Capuchin order who was said to have regularly exhibited stigmata – wounds on his hands, feet and side like those of Jesus Christ during his crucifixion – and who was made a saint by Pope John Paul II, has been exhumed on the 40th anniversary of his death. Some seven million people visit his tomb every year. Those wounds reputedly bled frequently throughout his adult life. 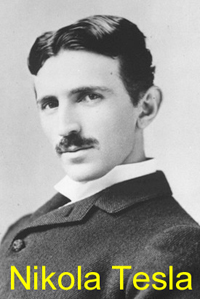 He was exhumed in order to be put on public display at the end of April. We’re told that the remains will be “prepared by experts before being placed in a glass coffin.” I certainly hope so. The top part of the skull is partly skeletal but the chin is perfect and the rest of the body is well preserved. The Latest on the Geller Front, Steorn: Still Active?, South Africa Again, And Once More, Howe Numb Noory, Hot Air A-Plenty, Homeopathic Tragedies Revisited, Accept the Good Part, The Grubbies Attack!, Defended, Price Winner, Norwegian Nuttery, In Closing..
From time to time we do find videos on YouTube which are not a silly waste time. A reader of SWIFT who goes by "zigb" commented on the lens flare item in the February 22nd issue and provided a link to Captain Disillusion's YouTube page. Being the curious person that I am of course I had to click the link and have a look. Being a video editor myself I was hoping that the quality would be better than 90% of the regular YouTube stuff. To my pleasent surprise not only is the content of this video fantastic but the editing, storyline, character, effects, lets just say everything is top quality.